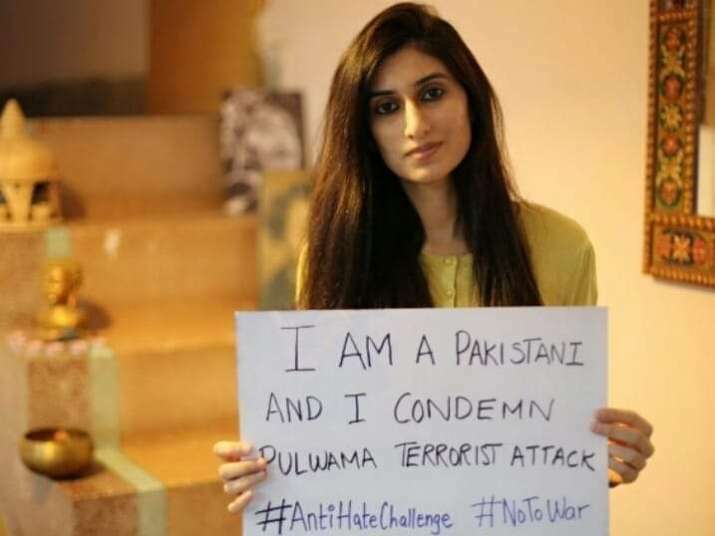 Amid the hate and tensions, an independent Pakistani journalist, Sehyr Mirza, has begun an #AntiHateChallenge on Facebook, condemning the Pulwama suicide bombing in Jammu and Kashmir which killed 40 CRPF troopers. Mirza expressed anguish over the terror attack and asked fellow citizens to join in the social media campaign. "We're deeply disturbed over the tragic terror attack that claimed innocent lives in Kashmir," Mirza posted on a Facebook group named "Aman ki Asha" on Tuesday. In a tweet late on Wednesday, Mirza, also a peace activist, said: "I thought it was very important to break the silence to create a healing space and the best way to do that was through giving out a message of love and warmth. "So, I initiated the #AntiHateChallenge to express solidarity." Mirza also shared her photograph along with several other Pakistanis holding a poster, saying "I am a Pakistani and I condemn Pulwama terrorist attack". "In such testing times, we need more sane voices to speak out against war and terrorism," she said in the Facebook post. "We have initiated this #AntiHateChallenge to not only condemn the attack but also express solidarity with our Indian friends. Requesting Pakistani fellows, who share our feelings to please, join in??" She also quoted Indian poet Sahir Ludhianvi's famous lines: "Whether blood be ours or theirs, Its the blood of humankind. Whether wars be waged in the east or west, It is the murder of world-peace. Whether houses be bombed or borders, The temple of the Soul is wounded. War is a problem itself. How will war resolve problems? Today it will rain fire and blood, Tomorrow, hunger and scarcity".